Haq's Musings: Is Chicken Really More Affordable Than Daal in Pakistan? Is Chicken Really More Affordable Than Daal in Pakistan? Pakistan's poultry industry achieved 127% growth in the total number of birds produced, 126% growth in the total meat production and 71%growth in terms of total eggs produced between 2000 and 2010, according to government data. As a result, the cheapest sources of animal protein in Pakistan are the eggs and meat from the poultry sector. 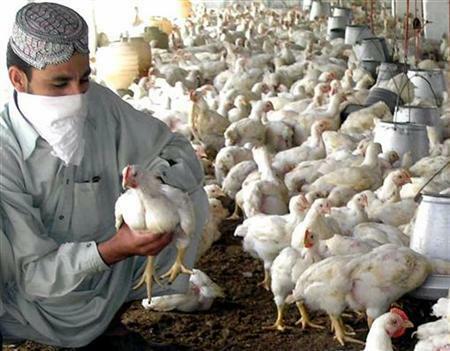 As of 2013, the per capita availability of poultry meat in Pakistan is 5 kg. In addition, Pakistanis consume 51 eggs per year per capita. Poultry share of meat consumption in Pakistan has steadily increased over the years. In 1971, the market share of beef was 61%, mutton was 37%, and poultry meat a mere 2-2.5%. In 2010 the market share of poultry meat had increased to 25%, while beef and mutton declined to 55% and 20% respectively. This increase in the overall size of the poultry sector has decreased the gap between the supply and demand of animal proteins and helped stabilize beef and mutton prices, making meat relatively more affordable to more people. Production of daal, another important source of protein in Pakistan, has not kept pace with demand. Domestic production is not enough to provide 6-7 kilos of daal per person consumed in the country. Pakistan is forced to resort to imports to meet demand. Pakistan spent $139 million to import 628,000 tons of pulses in fiscal year 2010-2011. Pulse imports jumped to $224 million in July 2014 to January 2015 period, according to a report. Overall, livestock contribution to agriculture in Pakistan has now risen to 58.55 percent, with the rest coming from crops, fisheries and forestry, according to Economic Survey of Pakistan 2015-16. The agriculture sector accounts for 19.82 percent of GDP and 42.3 percent of employment with strong backward and forward linkages. Dairy farming has grown in Pakistan by leaps and bounds, making the country the third largest milk producer in the world. Services sector now accounts for 59.16% of Pakistan's GDP, the largest sector of the economy, followed by industrial sector that contributes 21.02%. Manufacturing is the most important sub-sector of the industrial sector containing 64.71 percent share in the overall industrial sector. There has been significant progress in increasing animal protein supply via growth in Pakistan's livestock sector over the last few decades. Nations' policymakers now need to focus on increasing plant protein sources to close the gap between protein supply and demand in an affordable manner. Chicken is cheaper than Daal in India . Dal ~200 per Kg Chicken around 120-140 . Singh: "Chicken is cheaper than Daal in India . Dal ~200 per Kg Chicken around 120-140 "
It's the basic law of supply and demand. Being mostly vegetarian, neighboring Indians consume only 3.2 Kg of meat per capita, less than one-fifth of Pakistan's 18 Kg. Daal (legumes or pulses) are popular in South Asia as a protein source. Indians consume 11.68 Kg of daal per capita, about twice as much as Pakistan's 6.57 Kg. India is sending teams to Mozambique and Myanmar to explore the possibility of growing pulses or dal as it battles burgeoning demand and steep prices, food minister Ram Vilas Paswan has told NDTV. "We may cultivate pulses there or sign a long-term agreement (to procure). For this, we are sending a team to Mozambique and another to Myanmar," he said, adding that the visits are likely to happen in the coming week. He admitted that the production of pulses has declined in the country. "It has been happening since the last three years that the monsoon has affected the production of pulses," Mr Paswan said. His comments come as prices of pulses have touched Rs. 200 per kg (Pak Rs 310), while two key vegetables - tomato and potato - staying costly at up to Rs. 80 and Rs. 35 per kg despite efforts by authorities to check the rise. Mr Paswan also said that he suspected rumours to be one the reasons for price rise of vegetables like tomato even as production has gone up. "I am also surprised that the production of onion, potato and tomato have all increased this year, and there is general consensus that the consumption has not changed much. So in these conditions, I think the reason for price rise is rumours," Mr Paswan told NDTV. IEG Director Manoj Panda said regional collaboration is need ..
indians are not mostly vegetarian. RK: " indians are not mostly vegetarian." The most alarming signal from this survey comes in response to a question about the experience of hunger. As many as 35 per cent say that, at least once during the last year, they or someone in their family could not have two square meals a day. Seven per cent say this happened `often.' This incidence is higher among the Dalits, the Adivasis, and the urban and rural poor. The survey is a reminder that hunger is not related only to natural calamities or famine. It is a living everyday reality in our country. "So why do they eat only 3.2 Kg of meat per capita per year?" It did not occur to you that one can be a non vegetarian without eating it daily. I was merely answering to your question that indians are predominately vegetarians. Also need to see a kilo of Chicken is only good enough for 2 meal portions on average. and a kilo of daal is good enough for 10-12 meal portions on average. Baba:"Also need to see a kilo of Chicken is only good enough for 2 meal portions on average." The usual portion in a carnivorous country like the United States s one-quarter pound of meat per person. A kilo of chicken would be good enough for at least eight portions by US standards...it could be stretched to 10 or 12 in South Asia. BTW for the sake of environment beef consumption should be reduced. Producing beef is so stressful for water. There are many research paper on that. Baba: "What are you saying? In my house of 4 members, 1 kg of chicken gets over in a single sitting. Mind you, we are average eaters"
You are probably not eating a balanced meal that includes more than just meat. Quarter pound is the standard with bigger portions being one-third of a pound when served with carbs (nan, rice, potatoes or pasta) and a side of veggies. Pak: "1 kg meat in Pak is hardly enough for 3-4 people"
ounces of meat. A typical chicken thigh contains almost 2ounces, a typical drumstick 1-1/2 ounces, and a typical wing has less than an ounce. Kailash: "The survey of 70% non veg in India is believable"
Baba: "Sorry, I never saw 10 people sharing a complete tandoori chicken... can lead to riot among siblings"
Yes, it's hard to share a whole tandoori chicken among more than 4 or 5 people... two breast pieces, two legs and wings etc. But curry chicken with nan or rice can be shared among more people. Per capita calorie consumption in pakistan is 2250 and in India 2300. RK: "Per capita calorie consumption in pakistan is 2250 and in India 2300. " This is a dubious claim that is contradicted by several key indicators. 1. Average body mass index (BMI) of Pakistanis (23) is higher than that of Indians (21). It's not possible on a lower calorie intake. 2. Pakistanis are on average two inches taller than Indians. It's not possible on a lower protein intake. 3. Per capital consumption of meat, milk, oil and sugar is significantly higher in Pakistan than in India. This can not lead to lower calorie intake in Pakistan than in India. If you think you know more than them, you can definitely challenge them. RK: "If you think you know more than them, you can definitely challenge them." It shows calorie intake decreasing in both India and Pakistan since mid-1990s that makes absolutely no sense. All credible indictors show people in South Asia eating better than before with declining poverty rates. This data is as suspicious as Modi's GDP of India that even his Central Bank Chief Raghu Rajan questions and ends up losing his job recently. In Pakistan we have plenty of dishes with chiken, a salan or qoorma can serve as many people as you want to on lamba or chota pani. make palaoo biryani salan can consume with boil rice or chappati so yes 1 Kg can easily serve 10+ people depend on dish, plus 1KG can easily make 4 different veggies dishes more tasty by adding a minor quality, so yes they can even use as flavor booster :),also even in daal people add chicken or chicken cubes. In our country per capita consumption of (poultry) meat is only 7 kilo grams and 65-70 eggs annually. Whereas developed world is consuming about 40 kilo grams meat and over 300 eggs per capita per year. "So why do they eat only 3.2 Kg of meat per capita per year?" -- Simple. They eat meat on few Sundays or some special occasion like Vijaya Dashmi. Even in most of the middle class Hindu marriages you will rarely see non veg. Compare this to any Muslim wedding where it will be unthinkable. At Pimpalgaon Basant, a village in western India, there is not a single cloud in the sky. The last time it rained was days ago, and that was only for an hour. Without rain, the Pimpalgaon tomato market, said to be the biggest in Asia, is almost empty. Tomato prices across India have, on average, doubled since April, causing consternation across the country. A long drought, followed by an early monsoon has disturbed the harvest cycle, and scarcity has pushed up prices. Other vegetables and lentils are also more expensive this year. Tomatoes are a staple in Indian cuisine, used as a base for cooking vegetables, curries and dal. The rising cost makes a huge difference to family budgets and to the farmers who rely on steady sales for their income. Many restaurants have dropped tomato-based dishes from their menus, while the sale of processed tomato sauces and ketchup has seen a 40% increase, according to Assocham, a national trade association. Khaire usually gets good rates for his tomatoes, but he’s suffered huge losses this year. “The fields are ready, the saplings are ready, I am just waiting for the rain to come,” he says. In India, the rise and fall of governments has been linked to the price of vegetables. High onion prices were thought to have been the deciding factor in the 1998 state elections in Delhi and Rajasthan. This month, Arun Jaitley, the finance minister, chaired a meeting with cabinet ministers to find ways to reduce tomato prices. Mamata Banerjee, West Bengal’s chief minister, set up an emergency taskforce to address the tomato crisis. While drought has slowed production in west India, heavy rains and floods have ruined the crop in the south. In Haveri, a region in the southern state of Karnataka, Shrenik Raj, a tomato farmer, says he has lost 600,000 rupees since the beginning of the year. “It was terribly hot, so the plants couldn’t grow. I’ve lost all my crop. I could sell tomatoes for a good price at the market now, but I don’t have any to sell,” he says. In India’s cities, tomato sellers are struggling to earn decent money. At Vegetable Alley in Mumbai, Sachin Bhad has to haggle with customers. “Tomatoes are selling for 50-60 rupees a kilo this week. Last week it had risen to 80 rupees – that’s the highest it has ever been,” he says. “This week, we’ve got tomatoes from Punjab, so the prices have come down a bit, but the stock we’re getting is not good and people aren’t buying. Smita Shah, one of Bhad’s customers, wants to buy half a kilo of tomatoes. “I used to buy a kilo two or three times a week. Now I buy 250g or 500g,” she says. Prices of vegetables and chicken registered a decline while fruit prices recorded an increase during this week compared to preceding week, revealed a survey conducted by Business Recorder on Saturday. The survey observed that the prices of essential kitchen items especially potatoes, tomatoes, onions, garlic, ginger and vegetables registered a reduction. During the aforementioned period, chicken price in the wholesale market witnessed a reduction of Rs 200 per 40 kg from Rs 5200 per 40 kg to Rs 5000 which in the retail market is being sold at Rs 135-140 per kg against Rs 155-165 per kg. There was no change in the prices of mutton and beef as mutton is available at Rs 750 per kg. Boneless beef is being sold at Rs 480 per kg while beef with bones is being sold at Rs 380 per kg. Prices of most of the vegetables witnessed a decline as Karaila is available at Rs 180 per 5 kg in the wholesale against Rs 200 per 5 kg, cucumber at Rs 140 per 5 kg against Rs 160 per 5 kg, potato at Rs 2200 per 110 kg bag against Rs 2500 per bag, tinda at Rs 175 per 5 kg against Rs 200 per 5 kg, ginger at Rs 90 per kg against Rs 120 per kg and garlic at Rs 150 per kg against Rs 200 per kg. Cauliflower price witnessed a decline of Rs 50 per 5 kg in the wholesale market from Rs 400 per 5 kg to Rs 350 per 5 kg and capsicum price also went down by Rs 50 per 5 kg from Rs 380 per 5 kg to Rs 330 per 5 kg. Tinda in the retail market is available at Rs 45 per kg against Rs 50 per kg, capsicum at Rs 80 per kg against Rs 90 per kg, cabbage at Rs 50 per kg, cauliflower at Rs 75 per kg against 80 per kg. Green chili price witnessed a reduction of Rs 80 per 5 kg from Rs 300 per kg to Rs 220 per 5 kg and maro kadu price remained stable at Rs 160 per 5 kg. Beans with a reduction of Rs 50 per 5 kg in the whole sale market remains available to Rs 350 per 5kg from Rs 400 per 5 kg which in the retail market is being sold at Rs 80 per kg against Rs 90 per kg and peas price also witnessed a decline of Rs 50 per 5 kg from Rs 400 per kg to Rs 350 per 5 kg which in the retail market are being sold at Rs 80 per kg against Rs 100 per kg. Lemon in the wholesale market is being sold at Rs 700 per 5 kg against Rs 650 per 5 kg, which in the retail market are being sold at Rs 160 per kg. Onions price remained stable at Rs 130 per 5 kg in the wholesale market which in retail market is being sold at Rs 30-35 per kg, while potatoes are being sold at Rs 30-35 per kg and brinjal is available at Rs 40-50 per kg. No change was registered in the price of rice, all range of pulses, wheat flour, soft drinks, ghee/cooking oil, spices, tea packs, milk and yogurt. Prices of most of the fruits during the week under review witnessed an increase as Sindhri mangoes are being sold at Rs 125 per kg against Rs 110 per kg, Chaunsa at Rs 110 per kg against Rs 100 per kg, peach is being sold at Rs 120 per kg against Rs 100 per kg, watermelon went up by Rs 5 per kg from Rs 20 per kg to Rs 25 per kg, melon at Rs 40-65 per kg, normal quality local banana at Rs 100 per dozen against Rs 80 per dozen and fine quality local banana at Rs 130 per dozen against Rs 120 per dozen, while Indian banana is being sold in the range of Rs 150 per dozen to Rs 180 per dozen. Different qualities of apples are being sold in the range of Rs 60 per kg to Rs 250 per kg; Swat apricot is being sold at Rs 80-100 per kg, Quetta apricot at Rs 150 per kg and pear is available at Rs 150 per kg. Potato per kilogram is Rs 27, Potato Store Rs 23, Onion Rs 26, Tomato Rs 32, Ginger Rs 80, Garlic desi Rs 175, Garlic (China) Rs 175, Lemon desi Rs 98, Lady Finger Rs 50, Pumpkin Rs 46, Brinjal Rs 34, Peas Rs 118, Farsh Bean Rs 82, Tanda Walaiti Rs 55, Tanda desi Rs 64, Cucumber Rs 27, Capsicum Rs 45/32, Green Chilli Rs 38, Cauliflower Rs 68/38, Cabbage Rs 40, Bitter gourd Rs 37, Green Zucchini Rs 40, Spinach Rs 34, Turnip Rs 45, Maroo Rs 48, Yam Rs 55, Carrot Rs 55, Chicken Rs 139 per kg and Egg per dozen Rs 78. Likewise, he said that rates of fruits per kilogram of high and medium quality in Sasta Bazaars are as follows: Apple Kala Kulo Rs 145/125, Apple White Rs 95/65, Apple Ambri Rs 82/56, Apple China Rs 200/180, Apple New Zealand Rs 256/232, Banana Pak Rs 130/85, Banana Ind Rs 165/135, Pear China Rs 165, Apricot Swat Rs 105/85, Apricot Kabli Rs 140/125, Melon desi Rs 30/22, White Melon Rs 28/20, Water Melon Rs 20/15, Peach Rs 95/65, Mango Sundhari Rs 110/85, Mango Maldeh Rs 62/45, Mango Almas Rs 47/35, Mango langra Rs 65/45, Mango Chaunsa White Rs 105/85, Mango Dosari Rs 76/50, Mango Desi Rs 55/35, Plum Rs 120/90, Garma Rs 58/35 and Mango Ratool Rs 138/95. The spokesman has asked all the people to follow this list and inform authorities at 051-4867762 in case of any complaint against shopkeepers. "In India, if you want quality, you will be paying high prices. It very much depends on who you are. You have to settle for many compromises to take advantage of the cheap prices." Meanwhile, many Indians outside cities have felt the purchasing power of the rupee depreciate as inflation has been ongoing. The Indian government is now trying to keep inflation low. And the rural state of Bihar in the north-east of India is one of the poorest regions in the whole of south Asia, according to a study by Oxford University. Indian agriculture is having one of those passing problems at present, the prices of certain foods are rising well outside usual ranges. India’s a country that has still great swathes of absolute poverty, such price rises cause real suffering. Thus something should be done. But it’s important that the right thing be done rather than the wrong. India’s welfare system in general is moving, slowly enough, to using the right methods. But what’s happening here over chana dal and other pulses is showing us the wrong way to do it. The correct answer is to be subsidising people, not specific products. This is different from but allied to Amartya Sen’s point that modern famines don’t happen because of a lack of food but because of a lack of purchasing power. In the face of these changing prices we want to boost the purchasing power of the poor, not produce subsidised portions of those now more expensive foods. Firstly, we simply don’t want to be doing these things through something as cumbersome as a bureaucracy. Especially not something as cumbersome as the Indian bureaucracy. We would very much prefer whatever aid we provide to be available quickly. It’s very much easier to move money around than it is food so that’s what we should be doing. As when we deal with famine itself (please note, we are not talking about famine in India at present, not at all, just price rises). Send in money so that people can purchase the food which exists rather than sending in food itself. It’s really much, much, quicker. The government decided to import 7,500 tonnes of chana and masoor dal in the coming days to boost domestic supply and curb prices. The pulses issue was discussed in detail in the meeting of Management Committee of Price Stabilisation Fund, chaired by Consumer Affairs Secretary Hem Pande here. We also have another manner of managing these things. Those markets – if the domestic price of these pulses is rising above the world price then importers will import them. And again we come back to that Sen point – there must be effective demand at those higher prices. Which is why we just give money to poor people. Drought has shrunk the total output of chana dal production by 40-45% this year, traders said. It has seen doubling of its wholesale rate this year over the same period in 2015 and this trend will have a telling effect on besan (made from chana dal) sweets this festive season. Last year it was onion that made the middle-class cry. This year soaring price of tomatoes, potatoes and pulses have made the life of aam aadmi difficult. Last year it was onion that made the middle-class cry. This year soaring price of tomatoes, potatoes and pulses have made the life of aam aadmi difficult. Despite government’s efforts to control the prices of essential commodities, a huge increase in the cost of tomatoes, potatoes, arhar dal and urad dal has largely hit the common man of the country. Rising Inflation: The rising prices of vegetables are major concern. Due to crop damage, Tomato prices have doubled to an average Rs. 80 a kilogram across the country. In Hyderabad, tomatoes are being sold at Rs 100 per kilogram. Potato prices are up to almost Rs 20 per kilogram. Drought situation is several parts of the India, production of pulses were badly hit last year. Country’s pulses production is estimated to be 17.06 million tonnes in 2015-16 crop year, while the demand of pulses in India is pegged at 23.5 tonnes. According to data published by the department of consumer affairs and the National Horticulture Board, prices of tomatoes have increased by 100-200 per cent in most cities between April and June this year. Crop damage in West Bengal and a dip in production have risen the prices of potatoes in the country. Price rise of pulses: Pulses inflation has remained in double digits since January 2015. Arhar dal is currently costing as much as Rs 170 per kilogram. Urad dal is selling for as high as Rs 196 per kilogram. “In the last two years, arhar dal prices have doubled and the cost of urad has increased by around 120 per cent. Even the price of chana dal, which is produced in large quantities and is usually unaffected by inflation, has risen 85% in this period, in Delhi,” a Times of India report said. Following are today’s pulses rates (in Rs per quintal): Urad Rs 10,800-12,300, Urad Chilka (local) Rs 11,100-11,200, Urad best Rs 11,200-11,700, Dhoya Rs 11,600-11,900, Moong Rs 6,200-6,800, Dal Moong Chilka local Rs 6,750-7,150, Moong Dhoya local Rs 7,150-7,650 and best quality Rs 7,650-7,850. Masoor small Rs 6,050-6,350, bold Rs 6,100-6,400, Dal Masoor local Rs 6,600-7,100, best quality Rs 6,700-7,200, Malka local Rs 7,000-7,300, best Rs 7,100-7,400, Moth Rs 5,500-5,900, Arhar Rs 9,200, Dal Arhar Dara Rs 12,100-13,800. Gram Rs 7,000-7,500, Gram dal (local) Rs 7,150-7,450, best quality Rs 7,600-7,700, Besan (35 kg), Shakti Bhog Rs 3,100,Rajdhani Rs 3,100, Rajma Chitra Rs 5,600-6,950, Kabuli Gram small Rs 8,000-9,500, Dabra Rs 2,700-2,800, Imported Rs 4,700-5,100, Lobia Rs 5,400-5,600, Peas white Rs 3,400-3,425 and green Rs 3,600-3,700. Mangoes are grown and consumed worldwide. Costa Rica hopes to take advantage of an early end of the Peruvian season. Mexico's production is about to arrive. In general, the figures for many countries in Latin America are lower than last season. On the other side of the ocean, Australia sees more international demand for the country's mangoes. Also, Indonesia, Pakistan and Bangladesh are optimistic. For these countries, the Middle East, among other destinations, is a key market. Kenya is also making progress and exporting to more countries. Israel is trying to gain a firm foothold in Europe, where prices are currently high because of a sluggish supply and good demand in the run-up to Easter. Good prices are also paid for the fruit in the United States. This week, we look at the situation in Latin America, Mexico, Nicaragua, Guatemala, Peru, Costa Rica, Panama, Australia, Indonesia, Pakistan, Bangladesh, Kenya, Israel, the United States, Europe, France, Poland, Sweden and the Netherlands. Pakistan’s average inflation came in at 2.86 per cent in the just-ended fiscal year, its lowest level in over 13 years, the Pakistan Bureau of Statistics said on Friday. Falling oil and commodity prices, a stable rupee and monitoring of prices at both federal and provincial levels were major reasons behind low inflation. Average inflation stood at 4.53pc in 2014-15, 8.62pc in 2013-14 and 7.36pc in 2012-13. Inflation measured through the consumer price index (CPI) — the indicator that tracks prices of 481 commodities every month in the country’s urban centres — inched up to 3.19pc in June from 3.17pc in May. A finance ministry report said prudent fiscal and monetary policies and a few other factors helped in moderating the headline inflation and other inflationary indicators, ie core inflation, food inflation, sensitive price indicator (SPI) and wholesale price index (WPI). It said the government had also passed on the benefits of lower oil prices to domestic consumers, which helped stabilise prices of commodities included in the CPI basket. Food inflation, which has 37pc weight in CPI basket, was 2.3pc in June as compared to 3.2pc in the same month of the last year. This decline in food inflation was the outcome of a 1.82pc fall in prices of perishable food items. On a month-on-month basis, food inflation rose 1.4pc in June, mainly because of a 7.87pc increase in prices of perishable products and 0.19pc in non-perishable products. The food items whose prices increased included tomatoes (61pc), potatoes (45.5pc), eggs (8.5pc), fresh vegetables (5.9pc), gram whole (5.7pc), fresh fruits (2.5pc), besan (2.4pc), pulse gram (2.2pc), and rice (1.4pc). Core inflation, measured by excluding volatile food and energy prices, was recorded at 4.6pc in June 2016, slightly up 0.1pc from the previous month. Falling inflation has also encouraged the State Bank of Pakistan (SBP) to lower its key interest rate at a 42-year low of 5.75pc. Core inflation has remained subdued since November last year because of a tighter monetary policy and reduction in food and fuel prices. The finance ministry report said a 6.26pc decline in government sector borrowing during July-March 2015-16 has resulted in low core inflation. The retirement of Rs534.6 billion by the government to the SBP during the period under review also helped in lowering core inflation. The non-food inflation was 3.8pc during the period under review as compared to 3.9pc in the previous month. Among the non-food group, education index increased by 0.18pc and health by 0.13pc in June as compared to the previous month. The highest increase of 4.24pc was witnessed in the index of alcoholic beverages and tobacco. Average inflation measured through the SPI rose 1.31pc in July-June 2015-16, while WPI was negative 1.05pc. Lower WPI reflects less demand for domestic commodities, mainly because of low purchasing power. The entrance of the manufacturing sector into a negative growth indicates deflation in the economy. I don't think India's current food problems are related to distribution as some suggest; the real issue is insufficient production and supply due to multi-year drought. Indian farmers are heavily dependent on good monsoon rains. That's why an Indian farmer kills himself or herself every 30 minutes. Only 35% of India's farm land is irrigated versus over 70% of farm land in Pakistan. KARACHI: Engro Corporation has signed an agreement with a Netherlands-based dairy company for the sale of up to 51% shareholding in Engro Foods at an estimated price of $448 million, a securities filing said on Monday. Engro Corporation currently controls approximately 87% shareholding in Engro Foods while the general public owns the remaining outstanding shares. The deal will take place at Rs120 per share, which reflects a discount of about 26% to Engro Foods’ current share price of Rs163. The majority stake in Engro Foods will be bought by a legal entity in which Dutch dairy cooperative FrieslandCampina will hold approximately 80% shares. International Finance Corporation (IFC) and Dutch development bank FMO will hold the remaining shares in the legal entity. The share price of Engro Corporation rose 1.4% to Rs337.6 on Monday while the stock of Engro Foods shed 5% to close at Rs155.17 per share. Engro Corporation said in a statement it will stay on as a “significant partner and shareholder” under the new company structure. The stake of Engro Corporation in Engro Foods will likely be around 36% post-transaction. The Dutch company is required under the local takeover laws to make an attempt to purchase at least half of the shareholding currently owned by the general public. The provision is supposed to ensure that ordinary shareholders also benefit in case the sponsors of a listed company sell their stake in a major deal. This means general investors will also have a chance to avail the public offer extended by FrieslandCampina to sell at least half of their 13% current holding in Engro Foods. In a statement on Monday, FrieslandCampina said it expects to benefit from the conversion of the Pakistani market from loose to packaged dairy consumption. At present, less than 10% of tradable milk consumed in Pakistan is processed and offered in packages, it said. The conversion is expected to accelerate in the near future as a result of the growing middle-income class, a desire for higher quality milk as well as the increasing urbanisation, it added. Topline Securities said Engro Corporation will generate cash of around Rs47 billion, part of which will most likely be invested in energy-related projects with a higher rate of return. Engro Foods contributed more than a quarter in the corporation’s revenues last year. Therefore, its sale will result in a decline of around Rs4 per share in the holding company’s earnings, as per the workings of Topline Securities. “However, this decline will be compensated if the sale proceeds are either put in the bank or used to pay off debt. As of the latest quarterly accounts, Engro had Rs72 billion of debt on its books,” it said. That makes sense though it is true chicken is only 100-150/-a kg.where as arhar dal grown in india or imported from kenya and pakistan cost you between 100-150/-kg.Enen dal became an election issue in bihar assembely election.As far as I know middle class indian change there food habit according to weather.consume mostly fat and protein in winter and rain.Thus high intake of chicken fish or meat egg in winter dal, dahi (curd) sallads milk soyabean(protein) grams in summer In fact we have same food habit like pakistani.Rajasthan and gujrat two border state are are largly vegeterian consume gram largely.bengal, andhra, kerala, U.P bihar and northern states consumes maximum proteinius and fat food.Punjab, haryana hill stares have balanced diet . A three-day visit to Pakistan of a delegation of Australian pulses producers ended on Tuesday during which it explored opportunities for increased trade and production of pulses with Pakistani importers and businesses. The 13-member delegation from the Pulse Association South East (Pase), Fletcher International, Special One Grain and Full Business Spectrum, was led by the Australian government’s trade and investment commission. Welcoming the visit, Australian High Commissioner to Pakistan Margaret Adamson highlighted that Pakistan was Australia’s second largest destination for pulses exports with trade valuing at A$465 million in 2016-17. The high-pitched cheeping of a thousand newborn chicks fills the humid room. Technicians pluck them from incubation trays, inject them with a vaccine against Newcastle disease, discard those with deformities and pop the rest into plastic containers, where they will travel in heated trucks to government farms and be raised to adulthood. This process, repeated twice a week at the poultry research center in Punjab province, is the first step in a national anti-poverty program announced Nov. 29 by Prime Minister Imran Khan. The premise is simple: Provide five hens and one rooster to several million poor families, especially rural women, so they can earn income at home by selling eggs. But Pakistan is also facing dire macroeconomic and fiscal crises, with the rupee plummeting against the dollar and its foreign debt burden soaring out of control. Khan, who swore as a candidate that he would never go begging abroad, has already been forced to borrow billions from Saudi Arabia and elsewhere and to negotiate for debt relief from the International Monetary Fund. With such weighty issues to tackle, the backyard poultry project, an idea Khan borrowed from Microsoft founder Bill Gates, has been met with widespread derision. Headlines and pun-filled tweets have mocked the premier as throwing “chicken feed” at serious problems. One editorial cartoon showed a heavy wooden cart, labeled “the economy,” being pulled uphill by a struggling hen. But at the Poultry Research Institute, which has spent years trying to develop the perfect backyard chicken, director Abdul Rehman firmly believes that the project can make a critical difference in the health and livelihood of millions of poor Pakistanis. “People may laugh at the prime minister over this, but I laugh at them. It is a wonderful idea,” said Zahida Shad, a middle-class homemaker in Islamabad. She keeps a half-dozen chickens near the family’s garage, mostly to provide extra nutrition for her grandchildren. “Here in the city, people have money to spend, but they can’t find a single pure thing to eat,” she said. Raising chickens is a common practice in this largely rural, agricultural country of 208 million. Even in crowded cities such as Rawalpindi, where narrow lanes are crammed with trucks, donkey carts and motorcycle rickshaws, many families build chicken coops on rooftops or under stairs. And almost any Pakistani will tell you that desi eggs, produced by desi chickens, are better tasting and more fortifying than the factory-farm eggs that are now mass-produced in high-tech poultry facilities. Many have been built by wealthy industrialists who once invested in cement or textile production and have now cornered the egg market. Sardar Ali Abbas, 55, who owns a crockery shop in Rawalpindi and keeps a few chickens on his roof, applied for the new program right away and is impatiently waiting for it to begin. He observed that factory-bred chickens are raised to lay more eggs and that while their eggs are larger and whiter than desi eggs, they lack their flavor and oomph. Therein lie the greatest obstacles to the success of the chicken-in-every-plot scheme — economies of scale, which keep factory eggs cheap, and, reportedly widespread business practices, such as warehouse hoarding and price ma­nipu­la­tion, that benefit large food processors and brokers at the expense of small farmers. In a recent essay in the News International newspaper, Zaig­ham Khan, a Pakistani development professional, wrote that persistent poverty in rural Pakistan is “more about the fox” than the chicken. With the political and business elite conspiring to maximize profits, he argued, only a radical reordering of the playing field can truly give family farmers a boost.